With the majestic San Jacinto Mountains as a backdrop, Skye's downtown locale puts you right in the heart of the colorful, eclectic Palm Springs scene. The finest eateries, exclusive boutiques, storied hotels, legendary street fairs, galleries and museums are all right here. 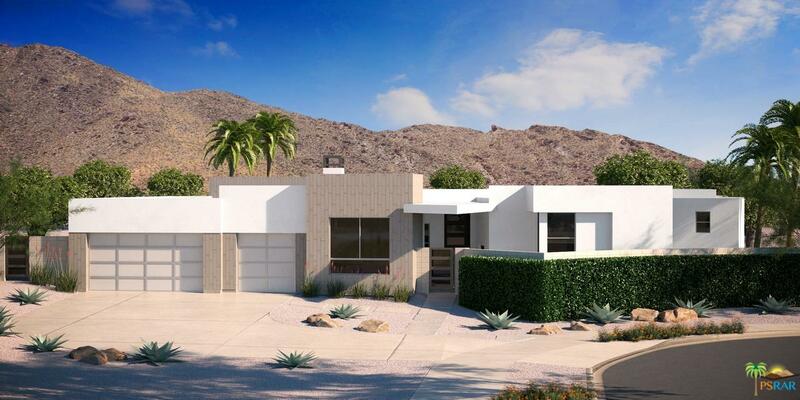 Upon completion, this private, exclusive enclave will consist of just 40 residences situated on generous 14,000 square foot minimum home sites. The listed property is the final home available for sale at Skye and will will be ready for occupancy in mid-April 2019. This home offers 3 bedrooms, 4 1/2 baths, a 3-car garage, media room, office, wine room, casita, and a custom pool and spa.